As teachers are starting back to school, I thought I would make a post about the literacy centers that I have in my classroom. I do a lot of modeling in my classroom with centers before my students are completely independent working at their center. My students work on literacy centers during the time that I am working with guided reading groups. Hope you can find some good ideas! Students can read books from our classroom library. I have books organized by genre and by level. I like organizing my library like this because students can pick books by genre that are of interest to them and they can also pick books on their level for their book basket. Students write the message from the day on dry erase boards and find letters, words, and punctuation they know. My students always love this! 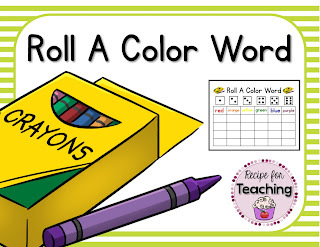 I have crayons, markers, pencils, and paper here for my students to write on a topic of their choice. This is another favorite center! At this center students can spell their names, word wall words, CVC words, word family words, etc on the side of a file cabinet. It depends on the focus as to what they might be spelling. This year I am going to organize my letter magnets with one of those jewelry hanging bags (thank you Pinterest)!! I plan to put my same word wall word alphabet letters in the pockets to organize the letter magnets. I love how it sparkles! 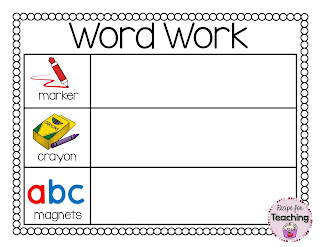 And here are two *FREEBIES* for you from my TpT store for your Word Work Center. Just click on the picture to go to my store! At this center students can sit in a kid size rocking chair and read a poem to their "students." This center really helps build fluency. My students can work on websites on the computer such as www.starfall.com. Book baskets are always a center choice for my students. They keep their book baskets in their cubbies. 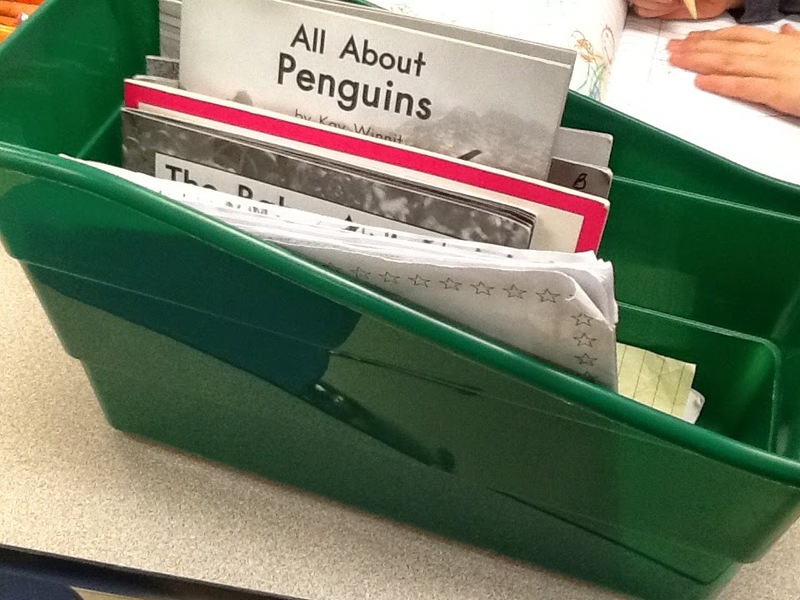 The books from guided reading go in their book basket or books that we have selected together during conferencing go in their book basket. Hopefully some of these ideas help you with literacy centers in your classroom!